With each chapter, readers learn more about Kirby, but the additional facts, insights, and observations don’t bring understanding. If anything, they make Kirby and his motivations less clear. Kirby was a guy with a family history of depression and suicide. He was a guy who knew his own sister was in the gym the day of the shooting. He was capable of great maliciousness, even as a child. However, Kirby was also capable of great charity. He helped his friend Zachary escape her abusive father, stopped popular cheerleader Lauren Hamby from committing suicide, and “saved” fellow marching band member Jenny Bernard in ways she can never repay. Though “Violent Ends” works as a whole, there a few bent nails on which the overall story snags. That several individuals are mesmerized by (maybe even obsessed with) Kirby rings a little-too-convenient, and some heal unbelievably quickly given the monstrous trauma they’ve suffered. While these first points just cause brief pauses, the chapter written from the perspective of Kirby’s gun, though full of striking writing (“And this boy’s now is filled with mines and monsters.”), creates an abrupt stop. The first-person narration from an inanimate object is unsettling, maybe even ridiculous, given that it’s sandwiched between stories from student survivors. 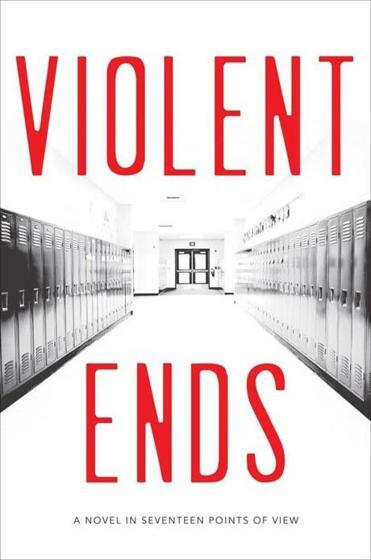 The point that “Violent Ends” so beautifully makes isn’t just that there are answers we will never have and human actions we will never understand. It also demonstrates this: We cannot 100 percent know the depth of another person’s heart. We cannot know the whys and whats of his soul. This idea could be sad, but it doesn’t have to be. Instead of rendering human beings powerless, it could render them more compassionate. Knowing that the stranger who just bumped you in the hall or that the awkward loner who sits behind you in class each have a story, makes it easier to chose kindness — again, again, and again. Chelsey Philpot is the author of the young adult novel “Even in Paradise.” Connect with her on Twitter @ChelseyPhilpot.